Disclosure: This post is sponsored by Imperial Sugar. As usual, all opinions and photos are my own. 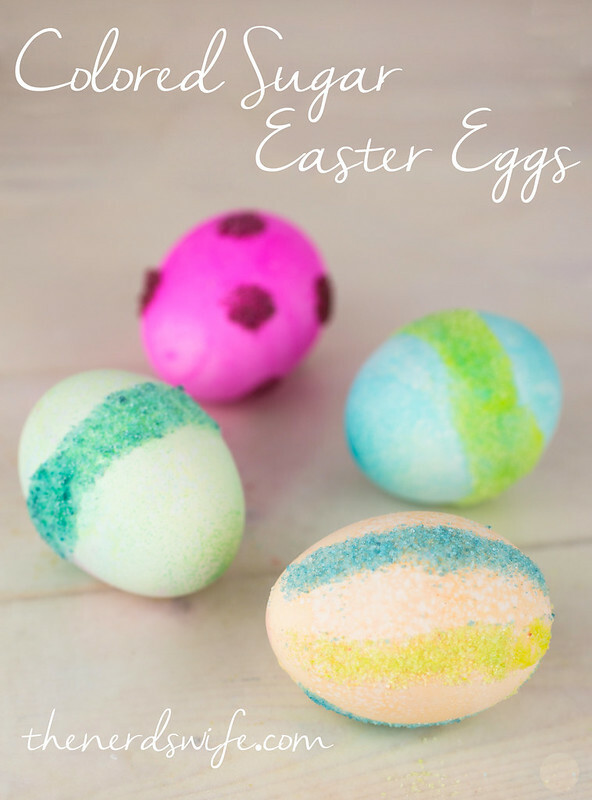 I’ve got another fun way to decorate Easter Eggs to share with you today — this time using colored sugar! The great thing about these Easter Eggs is that every supply is edible — so your kids can eat the hard-boiled eggs without worrying about toxic ingredients. 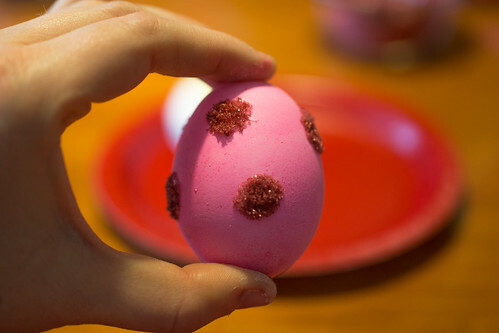 We used Imperial Sugar to decorate these eggs because I really like the consistency and quality of the sugar. It’s the brand I buy and trust. 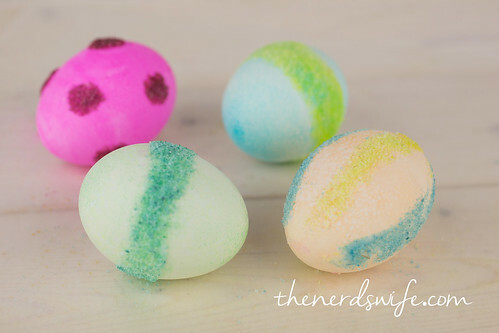 Plus, the idea for these Colored Sugar Easter Eggs came from the Kid’s Kitchen area of their website. 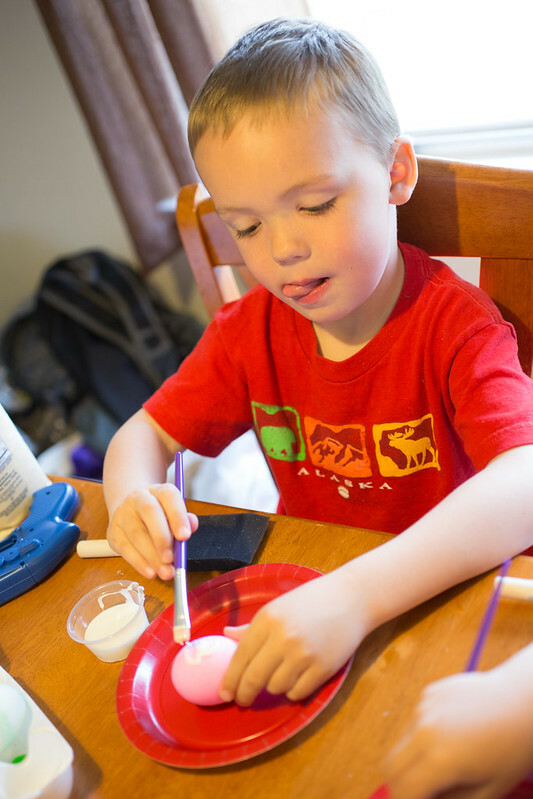 There are so many fun activities I want to try with my son! 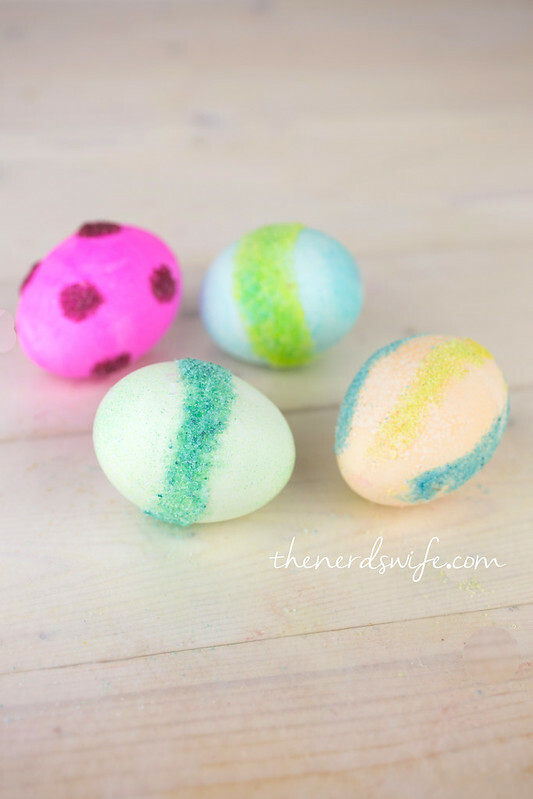 My niece and nephews visited us last week, so we decided to make these Colored Sugar Easter Eggs. They had so much fun squishing the food coloring into the sugar to make it colored. My niece, River, even experimented with mixing a few colors. She came up with this beautiful maroon color. That’s a future Aggie right there. 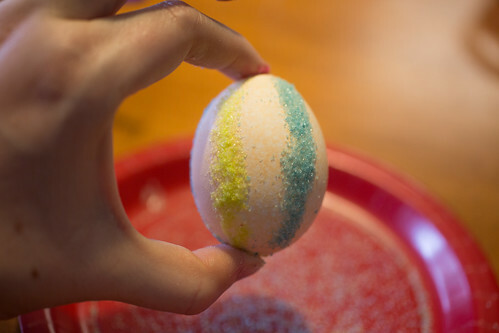 If you want to dye your eggs, go ahead and do so, following the directions on your egg dye kit. Allow them to dry completely before attempting to decorate them. 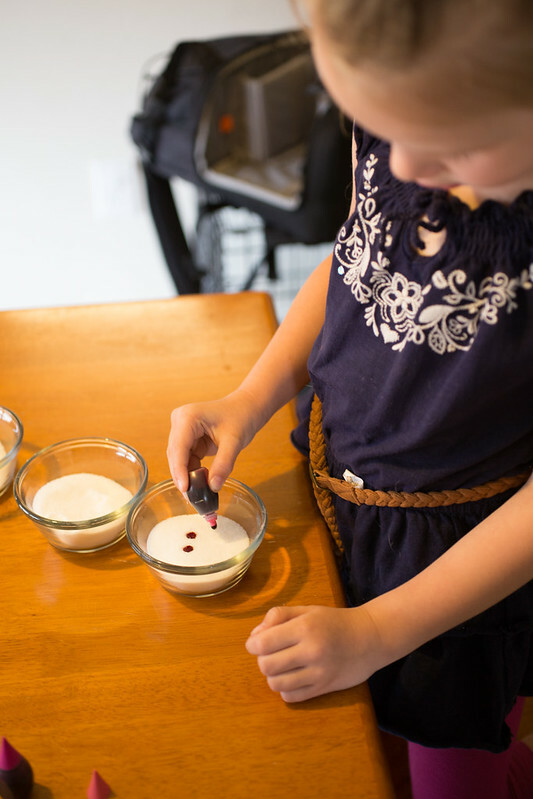 Place a small amount of Imperial Sugar in a bowl and add two to four drops of food coloring. Using your hands, rub the food coloring into the sugar until it is evenly coated. Adjust the color by adding more food coloring if you want darker color, or more sugar if you want a lighter color. 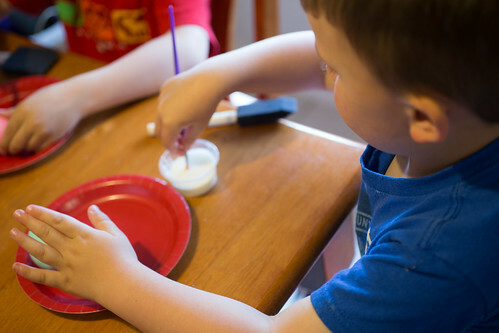 Using the paintbrush, add Royal Icing to the eggshell to create a design, then sprinkle the colored sugar over the top. The Royal Icing dries quickly, so just work with a little at a time. Designs like different colored lines and polka dots work well. 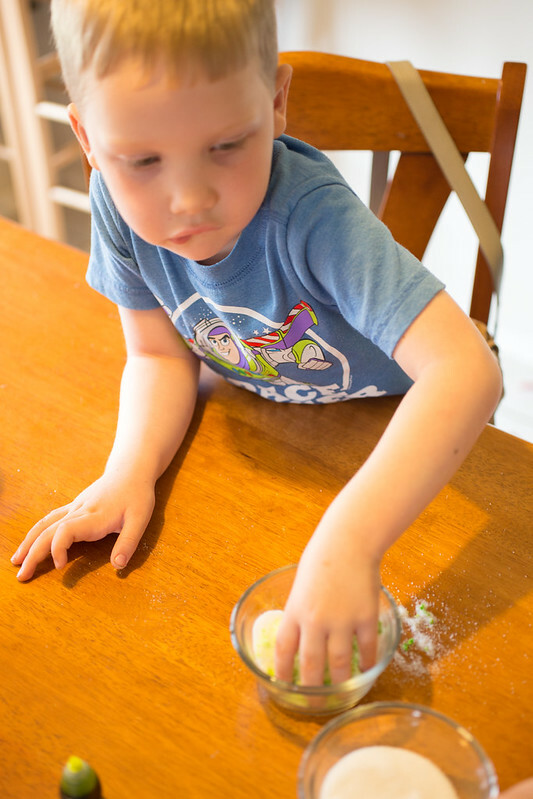 Or, you can just let your kids go crazy and dump a whole bowl of colored sugar on their egg. It’s all good. Refrigerate the eggs until ready for your hunt. 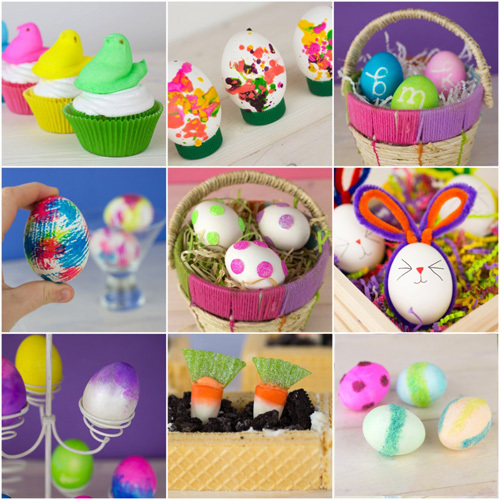 Make sure to check out these other Easter projects featuring Imperial Sugar! And while you’re there, make sure to enter Imperial’s Easter Contest that’s going on right now! During the Cookie Clash, you can vote on your all-time favorite cookie! Ten lucky winners will receive 10 4-pound bags of extra fine granulated sugar and 12 2-pound bags of brown sugar! How sweet is that?!? Click here for more info. What a great idea! I love finding unique ways to color our eggs each year – Thanks!